New Delhi: Controlling India’s inflation remains an overriding priority, Sonia Gandhi, the head of the ruling Congress party said on Wednesday, indicating inflation, which has refused to budge from above 9% for a year now, is a matter of grave concern. “We recognize that nothing hurts the aam aadmi (common man) more than rising food prices. 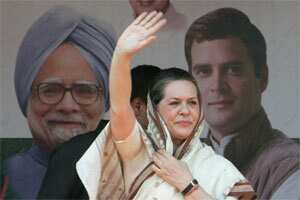 Controlling inflation will remain our overriding priority," Gandhi said. India’s near double-digit headline inflation has barely budged, despite 13 rate increases by the central bank since March 2010. A contraction in industrial output in October and a sub 7% growth in the July-September quarter had prompted the Reserve Bank of India (RBI) to hold rates at its policy review last Friday. Analysts expect the RBI to cut rates next year to prop up faltering growth provided inflation shows an easing trend. The central bank has estimated end-March inflation at 7%. Annual food inflation eased to 4.35% in the week to 3 December, its lowest reading since late February 2008, giving the RBI and the government some comfort on the price front, a point which was driven home by Gandhi. “There seems to be some relief on the price front."